Photo: Detail from label with the flying dog. See Ya Later Winery in Okanagan Falls has a lot going for it: a breath-taking location, a romantic history and well-made wines at popular prices. It also is the destination for wine tourists travelling with dogs, especially in a hot year like 2017. The winery always provides water for its canine visitors as well as wines for their owners. There is even a winged dog on all the labels. Here is an excerpt from the profile in the most recent edition of John Schreiner’s Okanagan Wine Tour Guide. This is a dog lover’s winery with a wonderful story, reflected both in its name and in that of several wines – Belle, Nelly, Ping, Rover, Hunny and Jimmy My Pal, formerly the names of dogs. This picturesque property on a mountainside above the vineyards of Okanagan Falls was owned for about 45 years by Major Hugh Fraser. Over that time he owned Nelly, Ping, and numerous other dogs. When they died, each was buried under headstones which, in recent years, have been placed at the base of a tree near the vintage home (circa 1902) now serving as the charming tasting room. According to one legend, the Major brought an English bride with him when he moved to this farm after service in World War One. She could not handle the isolation and returned to England, leaving a note signed “See Ya Later.” The real explanation, or so it is said, is that the major, a prolific correspondent, scrawled “See Ya Later” at the end of his letters. This is the third name for this winery. An entrepreneur named Albert LeComte launched the winery in 1986 under his own name. It became Hawthorne Mountain Vineyards when Sumac Ridge founder Harry McWatters bought it in 1995. A few years after Vincor (now Constellation) purchased the winery in 2000, it was rechristened to take advantage of the history and the canine legacy. The winery honours that legacy by welcoming visitors with dogs and by contributing to the major’s favourite charity, the Society for the Prevention of Cruelty to animals. This 40.5-hectare (100-acre) property is the highest elevation vineyard in the south Okanagan, rising to 536 metres (1,759 feet) and sloping to the northeast, an unusual exposure for the northern hemisphere. However, this cool location makes it one of the Okanagan’s best sites for Gewürztraminer, Pinot Gris and Ehrenfelser. Its Gewürztraminer block, at 26 hectares (65 acres), is the single largest planting of this aromatic variety in North America. The other grapes for See Ya Later wines come from Constellation’s extensive plantings in the south Okanagan. The 2015 Meritage, of course, is from a hotter vintage – but that season led to full-bodied and ripe reds. See Ya Later Ranch Chardonnay 2016 ($17.49). There is what the winery calls “a splash” of Pinot Gris blended in this wine. The wine begins with aromas of citrus and apple with spice and herbs. On the palate, the fruit flavours are luscious, with notes of melon, pear and citrus, subtly enhanced with a very light touch of oak. 90. See Ya Later Ranch Riesling 2016 ($16.99). Extended cool fermentation has preserved the floral Riesling aromas. On the palate, there are flavours of lime and lemon and stone fruit, with just the right amount of acidity to give the wine a very refreshing tang. The finish goes on and on; and the wine is dry. 91. See Ya Later Ranch Pinot Gris 2016 ($16.99). Forty per cent of this was fermented in French oak; the rest in stainless steel. The wine begins with aromas of peaches and apples. On the palate, there are flavours of pears, peaches and apples. The texture is mouthfilling and the finish lingers. 90. At Langley’s Chaberton Estate Winery, Andrea Lee, the winemaker there since 2015, has brilliantly revived Madeleine Sylvaner as an estate-grown white wine. And she is working on Madeleine Angevine, a sister variety in the Chaberton vineyard. The late Claude Violet, the original owner of Chaberton, planted these varieties in the winery’s 40-acre vineyard in the early 1980s. He chose them, along with Bacchus and Siegerrebe, because he needed varieties that would ripen reliably in the Fraser Valley. For whatever reason, the Madeleines were eventually dropped from the portfolio as varietals, to be relegated as constituents in blended whites. Andrea restored Madeleine Sylvaner as a named variety in 2015. She will do the same with Madeleine Angevine when she is satisfied she has mastered the grape. You could count the wineries with these grapes on the fingers of one hand (Recline Ridge in the Shuswap; Venturi-Schulze and Zanatta in the Cowichan Valley). “If you take care even of a humble variety, you can make some incredible things,” winemaker Giordano Venturi once told me. I described these somewhat obscure varietals in my 1998 book, Chardonnay and Friends. Madeleine Angevine was developed in 1857 by a Loire nurseryman named Moreau-Robert. He sought to create new varieties simply by planting grape seeds and selecting the chance varieties that came, since the grape seed is genetically unpredictable in the progeny that results from this method. Three varieties emerged that are still grown, often for table grapes rather than wine grapes: the other two are Madeleine Sylvaner and Madeleine Royale. Other sources maintain that Madeleine Angevine -- the Moreau-Robert nursery was at the city of Angers -- resulted from a cross in which Madeleine Royale (bred in 1845) was one parent. “Why do they call it Madeleine?” Domaine de Chaberton’s Claude Violet said rhetorically. “Because they are very, very early plants and they are blooming on the feast of Saint Madeleine [in early May].” This vine has the rare attribute of being almost totally “female” which means that, unlike other vines, it is not self-pollinating but must be planted near to other varieties in order to be fruitful. Madeleine Angevine is a mainstay for English wine production. Madeleine Sylvaner was also named for the saint. Sylvaner was appended because the plant breeder believed the wine was reminiscent of an unrelated Alsace varietal called Sylvaner. The quality of the 2016 Madeleine Sylvaner took me by surprise when I tasted it recently with Andrea. I had not been much of a fan of the variety in the 1990s. Clearly, there have been significant improvements in both the viticulture and winemaking. Andrea was born in Hong Kong but grew up in Summerland after her parents emigrated there. She took a degree in molecular biology and biochemistry. She was doing a “tedious” internship with a pharmaceutical company until she was caught up in a recessionary downsizing. She travelled to New Zealand and, but for a car accident, would have worked in vineyards. Instead, after recuperating at home, she started working in the Sumac Ridge wine shop. She helped do the crush at Chaberton in 2008 and then took a master’s degree in viticulture and winemaking at the University of Adelaide in Australia. By the time she returned to Chaberton as the head winemaker, she had accumulated several vintages of experience in both Australia and in the Okanagan. The largest winery in the Fraser Valley, Chaberton now produces an extensive portfolio, both from the estate vineyard and with fruit from selected vineyards in the Okanagan and the Similkameen. There are no notes here on the winery’s limited production AC wines, which sell at the winery for $50 each. There are just three vintages so far and I plan on tasting them separately. AC are the initials for Anthony Cheng, one the winery’s owners. He takes a personal hand in blending. Each is based on a platform of Merlot. Chaberton Reserve Madeleine Sylvaner 2016 ($15.75). The wine begins with floral aromas leading to flavours of apple and cantaloupe melon. The finish is crisp and refreshing. 90. Chaberton Reserve Siegerrebe 2016 ($16.75). This highly aromatic white is a cross between Madeleine Angevine and Gewürztraminer. The aromas and the flavours are intense, with hints of lychee mingled with ginger. The wine is off-dry but well-balanced and suitable as a pairing with Asian cuisines. 91. Chaberton Reserve Sauvignon Blanc 2016 ($16.75). The grapes for this wine are from the Blind Creek Vineyard in the Similkameen Valley. It has aromas and flavours of tropical fruit with lime and herbs on the finish. A dash of Muscat in the blend lifts the aromas. The finish is crisp. 90. Chaberton Reserve Pinot Gris 2016 ($16.75). This wine blends Okanagan and Similkameen fruit. Some skin contact has given the wine the pale pink hue of a Provençal rosé. “When you close your eyes, it still tastes like a white wine,” Andrea says. It has aromas and flavours of raspberry and strawberry mingled with citrus and pear. 90. Chaberton Reserve Bacchus 2016 ($15.75). These are estate-grown grapes from old vines. This aromatic white wine is 86% Bacchus, 8% Pinot Blanc, 4% Reichensteiner and 2% Muscat. Slightly off dry, the wine begins with floral aromas and flavours of lime and grapefruit. 90. Chaberton Reserve Chardonnay 2016 ($19.95). Grapes for this wine are from the Golden Mile appellation. The wine is a combination of barrel fermented and stainless steel fermented. The oak has given this is a lovely and delicate note of vanilla in the aroma. On the palate, there are buttery flavours of orange and ripe pineapple with a hint of butterscotch on the finish. A textbook example of letting the oak support the fruit, not cover it. 91. Chaberton Reserve Gamay Noir 2016 ($16.95). This dark and spicy red is made with grapes grown in the estate vineyard. Andrea left the wine on the skins for 26 days, extracting flavours of cherries and cranberries. The low alcohol (11.8%) gives this wine a delicate footprint on the palate. The note of white pepper punctuates a lingering finish. 90. Chaberton Reserve Merlot 2014 ($22.95). There are Okanagan and Similkameen grapes in the wine. It was aged for 21 months in second-use oak barrels. There is touch of vanilla both in the aroma and the finish, sandwiching aromas and flavours of black cherry, plum and black currant. The long, ripe tannins give the wine a long, polished finish. 90. Chaberton Reserve Cabernet Sauvignon 2013 ($22.95). Grapes selected from Oliver, Cawston and Naramata vineyards were used to make this wine, which was aged 19 months in new French and American oak barrels. The aromas are bright and floral, with notes of cherry and cassis. On the palate, there are flavours of dark berry fruit, plum and prunes. 90. Chaberton Reserve Cabernet Sauvignon 2014 (unreleased). The cassis aromas give this wine a lifted, floral aroma, leading to flavours of cherry and black currant. On the finish, there are hints of vanilla and chocolate. 92. Chaberton Reserve Cabernet Franc 2014 (unreleased). This wine, which was aged 23 months in new oak, is a classic Cabernet Franc – packed with brambly aromas and flavours: blackberry, raspberry, cherry and cassis. 92. Chaberton Reserve Meritage 2014 ($25.95). This is a blend of 50% Cabernet Sauvignon, 35% Merlot and 15% Cabernet Franc, with grapes sourced from Black Sage and Naramata Bench vineyards. The wine was aged for 22 months in new French and American oak barrels. The wine begins with aromas of cassis and black cherry, leading to flavours of black cherry, plum and black olives. The finish is long and harmonious, with hints of sweet fruit, leather and tobacco. 92. Chaberton Reserve Syrah 2013 ($28.95). This wine, which was aged 20 months in new French and American oak barrels, is a bold, dark wine beginning with aromas of fig and prune with a gamy note. The wine has a rich palate, with flavours of black cherry and figs. The finish is savoury, with notes of truffles and white pepper. 90. Chaberton Reserve Ortega Dessert Wine 2016 ($N/A). The winery produced just 650 litres of wine from botrytis-affected estate grown Ortega grapes. The wine begins with honeyed floral aromas, leading to flavours recalling fruit pie. Not overly sweet, the wine is balanced to finish clean and fresh. 91. Chaberton Tribute 2013 ($24.95 for 375 ml). This is a barrel-aged fortified wine made with Syrah. It is a rich, juicy, figgy wine with mocha on the finish. 90. River Stone Estate Winery’s top red wine, Corner Stone, is included in my new book, Icon: Flagship Wines from British Columbia’s Best Wineries. Other products from this winery might easily have been included. However, the focus of the book is to highlight one wine (with a few exceptions) that you should collect for your cellar. Corner Stone, a Bordeaux red, is it for River Stone. And the price makes the wine more affordable than a lot of other aspiring icons. Here is what I have written about River Stone in Icon. Ted Kane had Corner Stone in mind back in 2003, when he began planting the River Stone vineyard on Tucelnuit Drive, just outside Oliver. In the French tradition, he planted Bordeaux varietals—Merlot, Cabernet Sauvignon, Cabernet Franc, and Malbec—in the proportions he believed he needed for his blend. “I knew at the beginning it was going to be a Merlot-forward, Right Bank Bordeaux style because of our cool-climate growing conditions,” Ted says. “Merlot is the most reliable ripener as opposed to Cabernet Sauvignon, which I knew would be the last to ripen.” Consequently, Merlot was the biggest block on the well-drained south-facing slopes. Subsequent experience led him to increase the planting of Cabernet Franc, another reliable ripener. He also replaced five rows of Cabernet Sauvignon with Petit Verdot in order to grow the full suite needed for a Bordeaux-type blend. Ted, who was born in Edmonton in 1962, began making wines from tree fruits when he was 19. 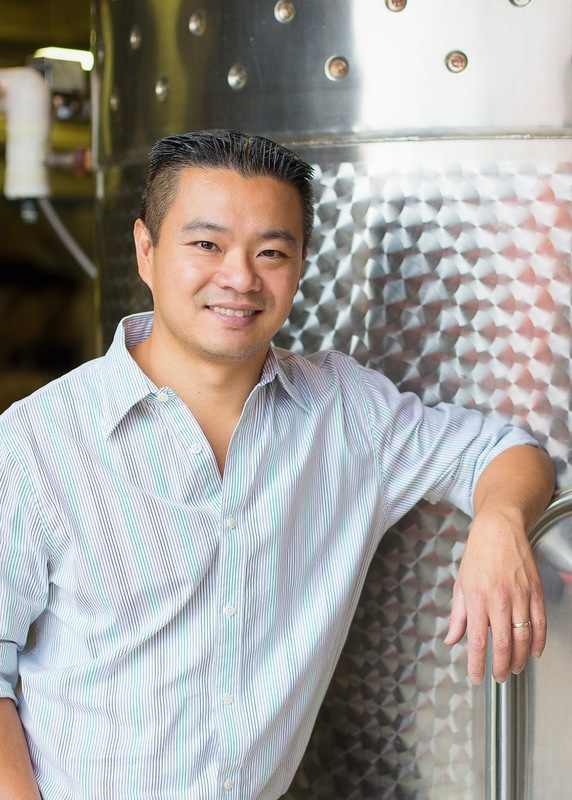 Even as he began a career as a respiratory therapist, he was obsessed with wine-growing. “I built a small greenhouse by my house in Edmonton,” he says. “I bought grapevines from Eastern Canada and propagated and grew them, just so I could learn pruning and trellising and irrigation techniques.” By the late 1990s, while his wife, Lorraine, was completing a medical degree, Ted was anxious to find an Okanagan property before, in her words, “It was all gone.” Good properties were still available in 2001, when they found 3.8 hectares (9.5 acres) of raw land near Oliver, on a hill beside the Okanagan River. They moved there in 2002, planting a 3-hectare (7.5-acre) vineyard while Lorraine began a family medicine practice. After selling grapes for several years, Ted took advantage of the superb 2009 harvest to make River Stone’s debut vintages. He was mentored in his first vintage by a consulting winemaker, New Zealand–trained Jacqueline Kemp. She remains on call when another palate is needed, but Ted is now comfortable in his ability to grow grapes and make wine. The individual varietals are fermented in small lots that are aged separately in French oak barrels for 14 to 18 months. By blending time, Ted has identified the best barrels of each varietal. Wine not needed for Corner Stone is blended into Stones Throw, which, in the French tradition, is made for earlier consumption. He also bottles modest volumes of single varietals, offering them in the wine shop and to his wine club. Perhaps the most notable of these single varietals is the Cabernet Franc, which grows very successfully in the River Stone vineyard. “If I knew back when I planted what I know now, I would have planted more Cabernet Franc,” Ted admits. Much like Cheval Blanc. Riverstone Sparkling White Merlot 2016 ($22.90). This is, I believe, the first sparkling wine from Riverstone. The wine has a pale salmon hue in the glass, along with lively bubbles. The strawberry in the aroma is echoed on the refreshing palate. The finish is crisp and dry. It is, I think, just missing a touch of residual sugar. 88. Riverstone Pinot Gris 2016 ($19.90 for 230 cases). The wine begins with aromas of pear and citrus, leading to flavours of pear, apple and peach. Bright acidity is well balanced with 4.7 grams of residual sugar, giving the wine a crisp finish with a spine of minerality. 90. Riverstone Sauvignon Blanc 2016 ($19.90 for 240 cases). The wine begins with aromas of lime leading to flavours of lime, grapefruit and guava. The crisp, focussed fruit flavours suggest a promising Okanagan style where the winemaker is not trying to emulate either New Zealand or the Loire. 91. Riverstone Cabernet Franc 2015 ($27.90 but sold out). This delicious red begins with brambly aromas of blackberry, raspberry and boysenberry. On the palate, the wine is rich and ripe, with brambly flavours that echo the aroma. The finish is remarkably long, with lingering red berry notes. 92. Riverstone Stone’s Throw 2014 ($25.90 for 525 cases). The blend is 58% Merlot, 17% Cabernet Sauvignon, 14% Malbec and 11% Petit Verdot. The ripe, juicy texture begins with the fermentation technique: 80% of the berries are whole (not crushed), given a three to five-day cold soak, and fermented in small tanks for optimum skin contact. The wine, which was aged 14 months in French oak (30% new), begins with aromas of black cherry. On the palate, there are flavours of black cherry, black currant, vanilla and sage. The tannins are long and the texture is generous. 91. Riverstone Corner Stone 2013 ($31.90 for 333 cases). This is the winery’s flagship red: 47% Merlot, 21% Cabernet Sauvignon, 21% Cabernet Franc, 7% Malbec and 4% Petit Verdot. It was aged 18 months in French oak. Dark in colour, the wine begins with appealing aromas of cassis, cherry and plum. The palate delivers a bowl of dark berry flavours including cherry, boysenberry and black currant. The long ripe tannins give the wine immediate accessibility (decanting is advised) but with the structure to let the wine develop gracefully through to 2023. 93. Heidi Noble, the proprietor of JoieFarm Winery on Naramata Road, asserts that sparkling wines are not reserved just for special occasions. “Bubble is for every day,” she says. My theory is that credit should go to the Italian producers of Prosecco for turning so many consumers onto drinking sparkling wine whenever you feel like it. That was something that Champagne did not quite succeed in doing, even after two centuries and the patronage of the likes of Winston Churchill (who was an every day drinker of bubble). Champagnes usually are expensive; and they should be. The production of Champagne is complex because the fermentation occurs in individual bottles. This gives the wines characteristic biscuit aromas and flavours sometimes referred to a brioche. The character of the wines demands you pay close attention to the quality. Prosecco has no such pretentions. Few, if any, are fermented in bottle. You can get good bottles for less than $20; the flavours are pleasant and the bubbles are just as lively as Champagne. Consumers might reserve Champagne for New Year’s Eve but don’t hesitate to open a Prosecco on Tuesday evening. And they are buying more sparkling wines from British Columbia producers because the quality easily matches Prosecco and the value is better than Champagne. In notes that accompany the wines, Heidi says that Quotidien Brut emerged from ongoing industry conversations in the past two years on defining Canadian wines. She chose to use the Charmat method – allowing the base wine to have its secondary ferment in a pressure tank, not in an individual bottle. It is, she says, “the best method to make quality sparkling wine for affordable easy drinking bubble.” Most Prosecco wines are produced in Charmat tanks. The brioche aromas and flavours of Champagne are created by the autolysis that occurs when a bottle-fermented wine rests for months, even years, on the yeast lees. Heidi wanted that character in her wine, even if it is difficult to achieve in a Charmat tank. To replace the lees contact a bottle-fermented wine gets, she stored the base wine after primary fermentation on the lees in neutral oak puncheons over winter. “This lends the wine some toast and biscuit flavours as well as providing some slow oxidation,” she writes. To improve the quality of the base wine, she also has begun to gently oxidize Riesling in neutral barrels, in a solera technique. This is blended with the Chardonnay. It strikes me that before she knew it what she had let herself in for, Heidi had worked as hard to make Quotidien Brut as if she had just bottle-fermented it. But she is nothing, if not determined. And she was determined to a wine where everything but the price reminded one of Champagne. JoieFarm Plein de Vie Brut 2016 ($19). This is 45% Pinot Meunier, 36% Chardonnay and 18% Pinot Noir. The wine has an inviting pink hue. It begins with aromas of cherry and strawberry that are echoed in the flavours. The active mousse, achieved by gentle carbonation. gives this a creamy texture. This is a very easy to drink sparkling rose with a crisp dry finish. 90. JoieFarm Quotidien Brut 2016 ($25). This is 55% Chardonnay and 45% Riesling. The base wine remained over winter in neutral barrels and on lees to simulate the autolysis on the lees. It was a clever way of achieving the biscuit notes of classic Champagne. The second ferment was in a Charmat tank. The wine has active mousse and a creamy texture. The wine has nutty flavours mingled with hints of lemon. The finish is crisply dry. 90. Gordon Fitzpatrick, the proprietor of Fitzpatrick Family Vineyards at Peachland, was elated when the winery received a gold medal at the recent National Wine Awards for Fitz Brut 2013. It is not as if winning gold medals is a new experience for him. Gordon was president of CedarCreek Estate Winery until it was acquired in 2013 by Anthony von Mandl, the owner of Mission Hill Family Estate. CedarCreek was a perennial medal winner in Canadian and international competitions. If memory serves, it was Canadian Winery of the Year at least twice. If Gordon were a thoroughbred, one would say he has good blood lines and one would expect his new winery to win medals as well. Recently, I tasted six new releases from Fitzpatrick with five friends, all keen wine lovers. We were all impressed, to say the least. Fitzpatrick Family Vineyards (FFV) opened this spring for its first full season at the lakeside vineyard beside the highway midway between Peachland and Summerland. Formerly, this was the Greata Ranch Vineyards Winery which the Fitzpatricks closed in 2014 after operating it for 10 years. Subsequently, the property has been refreshed as an 8,000-case winery with underground cellars for 118,000 bottles of bubbly. And the winery has been totally rebranded. Greata Ranch once was a famed orchard but had become a derelict property by the time Senator Ross Fitzpatrick (Gordon’s father) bought it in 1994. Senator Fitzpatrick planted the vineyard in 1995. The transition to sparkling started with the 2012 vintage. Darryl Brooker, then the winemaker at CedarCreek and now the general manager at Mission Hill, made sparkling cuvées in 2012 and 2013. Taylor Whelan, his successor at CedarCreek, was responsible for the next two cuvées, which are still resting in the FFV cellar. The 2016 cuvées and the 2016 whites have been made by a New Zealand winemaker, Sarah Bain, who was recruited last fall. The new FFV has a significantly expanded tasting room compared to former one at Greata Ranch, along with new dining facilities. Sparkling wines are available in a separate tasting room. These wines are featured as part of an hour-plus hospitality tours of the cellars and the vineyard. Many of these tours are led personally by Gordon or the winemaker. There also are shorter tours for those who don’t want to drill down so deeply into the vineyard and the cellars. Fitzpatrick The Lookout Riesling 2016 ($18.50 for 444 cases). This wine was fermented cool for 49 days in stainless steel. The result is a wonderfully aromatic Riesling, with aromas of lemon, limeand Granny Smith apples. On the palate, it is a fruit basket of flavour: citrus and peach. There is a touch of sweetness, although the residual sugar (20 grams) is balanced with lively acidity. The finish lingers. While the wine has just 11% alcohol, the intensity of aromas and flavour is remarkable. 91. Fitzpatrick The Mischief Pinot Blanc 2016 ($18.50 for 158 cases). The production is so small because most of Greata Ranch’s Pinot Blanc is now used for sparkling wine. Nonetheless, some table wine is produced because, as the winery says, “Pinot Blanc deserves more acclaim as far as we’re concerned.” This wine begins with aromas of apple, pear and cantaloupe, leading to flavours of apple and white peach with a hint of almond on the dry finish. 90. Fitzpatrick Interloper Gewürztraminer 2016 ($18.50 for 381 cases). This wine was fermented cool in stainless steel for 45 days and then aged four months on the lees in stainless steel. The result is a wine with aromas of rose petal spice and pineapple, leading to flavours of spice, grapefruit and a hint of lychee. The texture is fleshy. The lingering finish is dry. 91. Fitzpatrick The Unwinder Ehrenfelser 2016 ($18.50 for 650 cases). CedarCreek had turned Ehrenfelser into a cult wine and Fitzpatrick bids to continue the tradition, but with a wine that is more elegant and slightly less of a fruit bomb. The wine has aromas and flavours of guava, pears, peaches and pineapples. 91. Fitzpatrick The Pink Mile Rosé 2016 ($18.50 for 276 cases). This is a Pinot Noir rosé, with the grapes picked and pressed specifically for this wine. It was fermented cool in stainless steel for 25 days and aged there another four months on the lees. The appeal of the wine begins with its delicate (but not washed out!) salmon hue. (Readers will know I expect rosé to have colour.) Aromas of strawberry and raspberry are echoed on the palate. A few grams of residual sugar are balanced with bright acidity, giving the wine a crisp and refreshing finish. 91. Fitzpatrick Fitz Brut 2013 ($32.99). I tasted this wine in the spring, just as it was being released, and again this month. I was struck by how well it has developed in bottle over the past five months. The cuvée is 53% Pinot Noir and 47% Chardonnay. The wines were barrel fermented in neutral oak and aged about 27 months in bottle on the lees. This wine has a rich creamy texture, with flavours of citrus and ripe apple. The persistent mousse adds to Champagne-like elegance of the wine. 93.